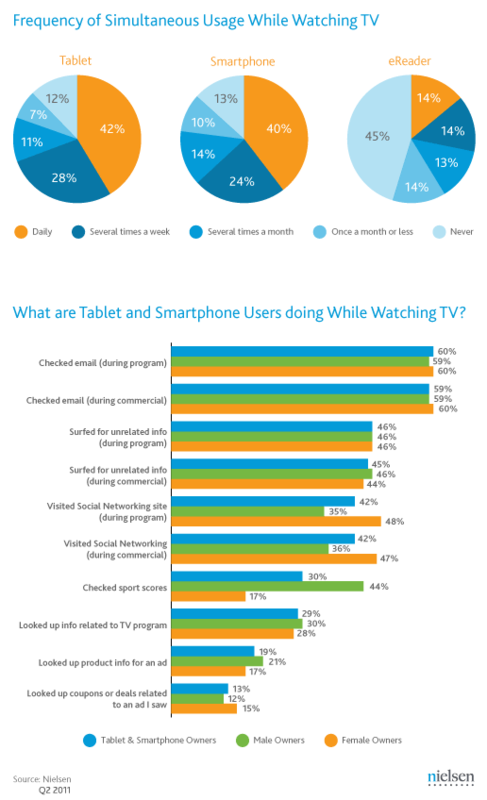 This infographic prepared by Nielsen shows that users prefer to have a smart device at hand while watching TV. See full report by nielsen here. Adding more interactivity and allowing TV viewers to access Internet-based video content, install apps, play games, and have in their SMART TV similar functionality as they have in their tablets or smartphones, created more value for customers and a lot of people now want to own a SMART TV rather than a regular TV. 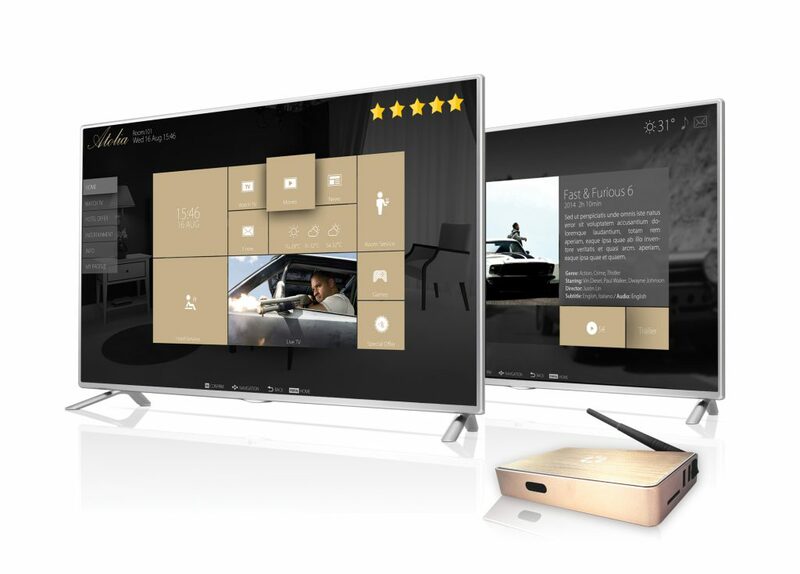 A Set Top Box coupled with TV creates a similar and in most cases a better experience compared to that of a SMART TV, which also have a special built-in module resembling an STB. From a user’s perspective this solution looks more elegant since you have a TV without any external boxes, extra wires, or distortion of aesthetics and design. For equipment installers and engineers having one device is probably better because fewer power outlets are required, fewer wires need to be connected, fewer devices are subject to maintenance. But for engineers who maintain the IPTV system this solution may become not so appreciated when they want to fix some issues reported by users, or if they want to add any new features. 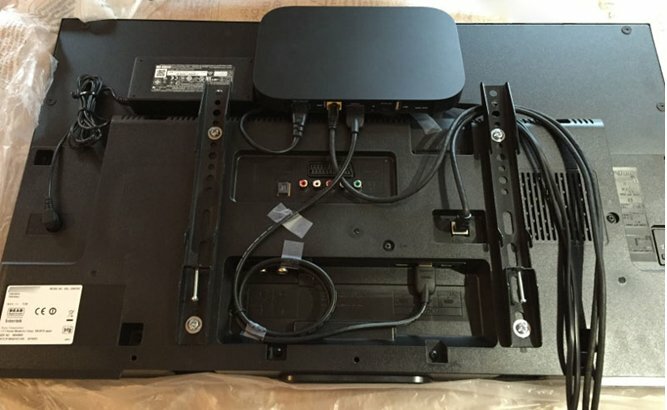 Sometimes a SMART TV is not as good and you want to keep the SMART part divided from the TV panel so that it is possible to upgrade or fix it quickly. Both client device types have their own pros and cons. More converged, but less flexible, a SMART TV is all packed-up, elegant, and compact, while the external STB is very flexible, more compatible, and easier to maintain. There is nothing easier than delivering and installing a Set Top Box to start accessing IPTV services. Any TV with a HDMI port will connect and work with it perfectly. Usually it is not even required to have a serviceman to be on-site for installation, i.e. the customer can just receive the STB by post and install it on their own. Pre-configured software starts to connect to the IPTV server immediately and there is at a minimum next to no configurations required to start accessing IPTV services after the Set Top Box is installed and connected to the TV and IP network. For IPTV providers, use of an external STB makes it very easy to deploy and develop their business. They can simply lend some set top boxes in local stores or sell them online with courier delivery. Customers will simply have to connect the STB to a local network or ISP to start accessing IPTV services available from that network or ISP. They can easily do this on their own given simple instructions. Same for OTT, a worldwide service can be deployed with the only requirement of having an STB connected to the Internet and active service subscription to watch Live TV, Video on Demand, and access other OTT services. SMART TV is not as flexible here as models are different and a lot of proprietary platforms are used in SMART TV sets which usually create enough obstacles for developers. See a comparison tab showing some differences between the STB and SMART TV client. This sheet displays some pros and cons of STB and SMART TV client devices. An external STB is not free of issues. But due to more open and more popular platforms, hardware and technologies used in external STBs, such issues are fixed much easier and faster, providing the ideal base to start development of a client app right out-of-the-box. A SMART TV client app usually works in a proprietary environment, on very specific hardware, and is bound to rules and policies imposed by the SMART TV vendor. Usually vendors are very hard on restrictions and it creates a lot of obstacles for developers, making SMART TV a bad choice for projects where customization and integration play a big role. The level of customization of User Interface that can be achieved with an STB is much better than that of a SMART TV and this can be a good reason why a Hospitality TV project is better deployed with an STB instead of a SMART TV. Property Management System integration is also a big advantage of an STB client. A Set Top Box comes with remote control designed and adapted to the UI of the STB. This creates an intuitive, easy way of controlling IPTV services on the TV screen without trade-offs and inconveniences. With SMART TV, developers have to deal with buttons already arranged to remote controls sold with that specific model of SMART TV and sometimes it leads to reduced convenience and distorted experience. Availability of UI customisations and integration with PMS makes STB an ideal choice for Hospitality TV projects. Vendors of IPTV systems can select from remotes available on the market or even design and produce their own, so that it fully complies with the original idea of the UI expressed by the designers of the system. Any type of remote can be found on the market, like the full QWERTY layout, G-sensor and accelerometer controlled joystick, trackballs, trackpads, sensor panels, buttons with light effects and many other features enhancing controls. A SMART TV does not have this freedom of choice, as the UI is proprietarily designed and apps have to be created within strict guidelines imposed by remote control button layout, specifics of the platform, and the graphic interface of the SMART TV model used. It is hard to give a solid recommendation for which type of client device is better to use as it is truly depends on the project’s goals and budget. For luxurious projects like five star hotels or cruise ships it is obvious that the STB will create a better user experience and will allow technology to be kept up to date. For small projects and low-budgets a SMART TV may be the better option, sometimes even the only one available. Read full CNET article here. But for most projects it is recommended to consider an external STB, especially as it is possible to install them on the back of the TV and power up from PoE thus not requiring the use of an additional power outlet for the STB. All this allows the installation and use of an external Set Top Box in such a way that it will preserve the aesthetics of the TV panel as it was originally designed in the first place, while still allowing to quickly replace the STB or update firmware. Concealed Set Top Boxes installation behind TV with accurate cable management. Even the remote control of the STB can be used for controlling the basic functions of the TV like power on/off and volume level/mute so that users will never find out if the TV actually has an external STB connected. At the same time their experience is guaranteed to be better than what they could get from a SMART TV and engineers supporting the IPTV system will probably find it easier to maintain. external STB instead of proprietary module installed in SMART TV. Interested to find more about STB and Smart TV Hospitality TV Solutions? Visit www.nevron.eu to see how we make IPTV happen. Stay tuned! Subscribe to our news.